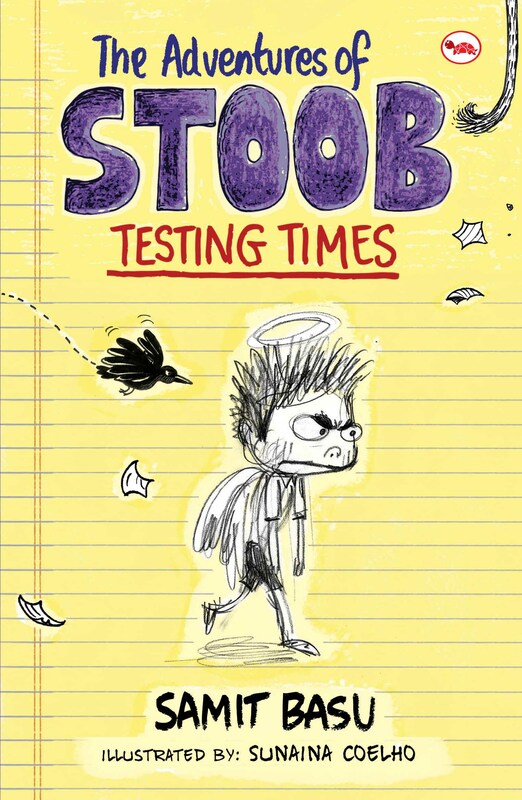 It’s February, and Stoob is glad that he’s almost done with Class Five—given the not-so-great year he’s been having, middle school can only be an improvement. But just before he can heave a final sigh of relief, there’s an announcement: the class test marks have all been cancelled, and getting through to middle school depends on one giant exam! And that’s how it starts, the whole nightmare that his future biographers will call Stoob’s Incredibly Dangerous Exam Adventure. His life is turned upside down when his parents don’t want him to do anything other than study, his friends Ishani and Rehan suddenly go all pious and goody-goody-study-buddy, and best friend Prithvi comes up with a Top Secret Plan to ace the exams without studying. Add to that a crow and some monkeys out to get him, and Stoob is about ready to have a nervous breakdown. From bestselling author Samit Basu, this is one adventure that anyone who has ever taken an exam won’t want to miss.